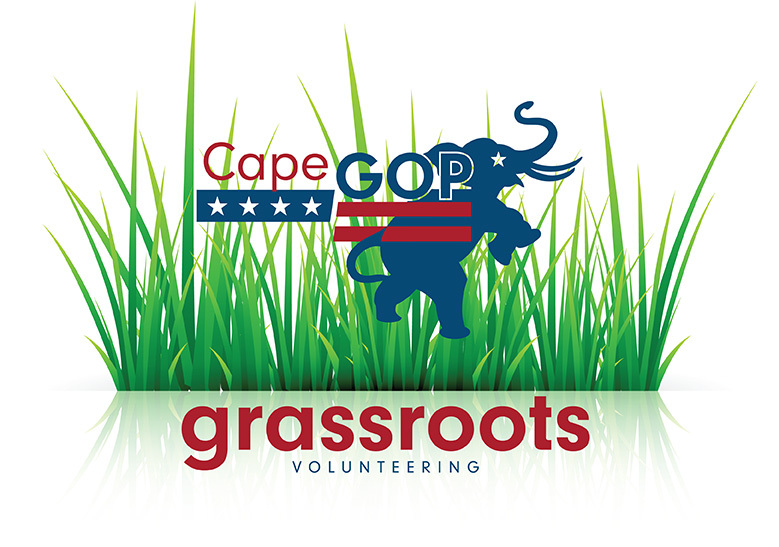 The Cape May County GOP is looking for Municipal Grassroots Coordinators, Grassroots Volunteers and CapeGOP Supporters to play an essential role in our success in 2018! To help please fill out the Volunteer Form. For information about Volunteering Opportunities please read below. – Working with the County Grassroots Coordinator, Municipal Leader, and Committee People to organize and execute specific campaign operations to assist the 2011 legislative, county and local GOP campaigns. Examples of these activities are, running phone banks, literature drops, door-to-door activities, public events, crowd building for rallies, voter registration drives, etc. – Work with the Municipal Leaders and County Committee Members to recruit volunteers. – Organizing the distribution of campaign materials out to volunteers, Municipal Leaders (lawn signs, palm cards, etc.) and distributing and collecting phone lists, walk lists, postcards, etc. – Informing the Campaign Scheduler of local community events for the candidates to go to. – Briefing the County Grassroots Coordinator on volunteer progress, upcoming events, crises, local issues in your town, etc. – Finding at least one community event each week at which you can promote the Republican Party, recruit volunteers and register voters in your county. This means bringing volunteers to these public events to pass out legislative candidate campaign literature, buttons, recruit more volunteers and have a public Republican presence. – Working with the Get out the Vote (GOTV) Team to ensure a strong showing from your municipality. Municipal Grassroots Coordinators will be selected by the County Grassroots Coordinator, Municipal Leader and the County Chairman. – Phone Banks: Contacting prospective campaign supporters is essential to the success of any campaign. There are people throughout your community who will be targeted this year to ask for their help, support, and their vote in November. – Door-to-Door Programs: Talking to neighbors is how campaigns have been won since our nation was founded. Door-to-Door Neighborhood Walks are one of the most important activities any campaign will undergo. As a grassroots volunteer, you will be asked to assist campaigns to talk with targeted voters in your community and record information concerning their thoughts and ideas about the campaign. – Literature Drops: Unlike Door-to-Door Neighborhood Walks, literature drops are designed to spread a campaigns positive message to targeted neighborhoods, rather than individual voters. These activities are useful in supplementing other communications activities that campaigns will be conducting this year. As a grassroots volunteer, you will be asked to hand out flyers, door hangers, and other materials to targeted voters in your community. – VIP events: As a grassroots volunteer, you will be asked to assist with these events and attend when possible. – Help staff a campaign headquarter. – Help with Get Out The Vote (GOTV) efforts: Getting supporters out to the polls on Election Day is essential for Victory. We will need grassroots volunteers that can help drive people to the polls, make phones, act as challengers, etc. – Talking to your friends and neighbors about our great candidates and encouraging them to Vote. The NJGOP is currently looking for volunteers, interns willing to help out on a regular basis in our Trenton headquarters. The GOP, “Grand Old Party,” first took roots in 1854 with a small group of dedicated abolitionists gathered to fight against the expansion of slavery and in hopes of starting a Party dedicated to freedom and equal opportunity.